Another Magical Empire In Southern California? Could it be that Southern California is about to get another magical empire to follow in the footsteps of Walt Disney and company? Oh, yes, it could come to pass. Except that the magic won’t come from Mr. Disney’s extraordinary cartoon creations. This time it will be in the very real person of Earvin ‘Magic’ Johnson and his Guggenheim group of investors who are making no secret of the fact that they are very much interested in buying the Los Angeles Clippers once Adam Silver manages to wrench it away from the disgraced Sterling family. That same group already bought the LA Dodgers for a record price and have even expressed interest in perhaps bringing NFL football back to the ‘City of the Angels’ something ‘Angelinos’ all over the vast city are all for it. Ironically, Donald Sterling himself brought Johnson’s name into the mix by chastising his girlfriend for posing for a picture with Magic and Dodgers outfielder Matt Kemp saying that the picture would ‘broadcast that she was associating with black people’. Yes folks he really said that. It’s not pretty, but there it is. But that apparently was not enough, Sterling continued, “Don’t put him (Johnson) on an Instagram for the world to have to see so they have to call me. And don’t bring him to my games.” My games? That was the clincher for most…it was for me. So now it’s all over the news. Magic has said that he would not attend any more Clipper games as long as Sterling owned the team and then Sterling, stooping even lower still attacked Magic over the HIV issue. Not a smart move. In the mean time NBA Commissioner Adam Silver banned Donald Sterling from having anything to do with the Clippers and started the wheels in motion to have him removed from ownership of the NBA team. A vote of 75% of the other 29 team owners will be required to oust him, but Mr. Silver is confident that the measure will pass. Although he denied interest in purchasing the Clippers at first, Johnson later told a group of Southern California business leaders that he and his partners were indeed interested in buying the team. Of course there are other potential buyers. 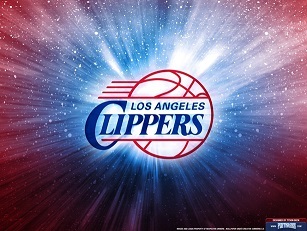 None other than Oprah Winfrey and Floyd Mayweather have both expressed interest in obtaining the Clippers. But Magic’s group already has a good foothold in LA with the Dodgers and is already acclimating land for the site of Southern California’s next ‘Magical Empire’.